Surprised by the number of attendees from Western spiritual traditions at his Buddhist retreats, Will Johnson wanted to understand what drew them to this type of spiritual experience. He found many devoted Christians were in search of a more direct experience of God beyond faith alone, so he began exploring what breathing practices could be found in the sacred texts of Western monotheistic religions. Johnson discovered that, like their Eastern counterparts, Western traditions speak of gaining direct access to God via the breath. After experimenting with these teachings during a 10-day retreat at a desert monastery, he discovered that each of us has the potential to open up to the presence of spirit in every breath. 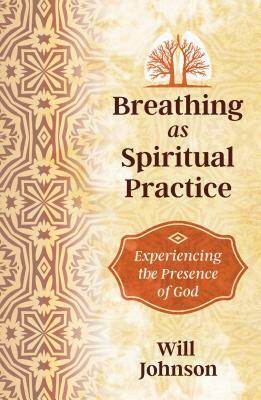 In this book, the author offers a close look at the importance of breath in each major Western religion, including the Jewish teachings of ruach as life-giving spirit in the form of breath and the Islamic poetry of Rumi, which describes breath as essential for cleansing the soul. He then ties each breathing tradition to the Book of Genesis, sacred to Christians, Muslims, and Jews alike: “And the Lord God formed man of the dust of the ground, and breathed into his nostrils the breath of life, and man became a living being.” Just as God blew life into Adam, every breath we take--if we follow the breathing practice of surrendering completely to inhalation--can open us up to the presence of God. Through his own contemplative journey, Johnson shares his experience of striving to surrender to the fullest presence of God through each breath. As he takes the reader step-by-step through his own breathing practice, the author explains his physical and mental techniques for meditating successfully through breath and provides helpful guidelines to get the most out of meditative retreats. Johnson also offers deep reflections on how these shared practices of experiencing God through the breath transcend religious differences. Will Johnson is the founder and director of the Institute for Embodiment Training, which combines Western somatic psychotherapy with Eastern meditation practices. He is the author of several books, including Breathing through the Whole Body, The Posture of Meditation, and The Spiritual Practices of Rumi. He lives in British Columbia.